John Hagee is at it again. That’s right, he is, once again, predicting that the time of the end is upon us, and he “guarantees” that what he is saying is God’s truth. This time, Hagee has consulted with a Jewish Rabbi that, he assures us, really knows his stuff, and, he has consulted with some astronomers that assure him that what he is saying is God’s truth as well! Wow, can’t be wrong then, right? What is it that Hagee is saying that is guaranteed to be the truth? What is so significant about the Four Blood Moons? Hagee points to the appearance of the Blood Moons in 1492, 1948 and 1967 and how major events concerning the Jews took place at those times. Building on that, he assures us– guarantees us– that “something big,” concerning Israel, will happen during this upcoming Four Blood Moons. Of course, Hagee conveniently ignores the fact that there have been several other blood moons when nothing major concerning the Jews took place, i.e. in 162/163 AD, 795/796 AD and on other occasions. Hagee is in fact pretty selective in his choice of the Four Blood Moons. The Four Blood Moon Countdown– Will It Eclipse Hagee’s Ministry? Note: I have discussed Hagee’s views of the Four Blood Moons on two major talk shows the last few days. You can listen to one of those programs here. So, how does Hagee’s new fascination with the Four Blood Moons falsify his own previously proclaimed eschatology? Let me explain. 2.) The appearance of the anti-christ who signs a peace treaty with Israel, allowing them to rebuild the Jerusalem temple– the Dome of the Rock notwithstanding! 3.) Three and a half years after the signing of the treaty and the building of the Temple, the Man of Sin breaks the treaty and begins the Great Tribulation against the Jews. 4.) At the height of the Great Tribulation, after 2/3rds of the Jews are killed, Israel cries out to the Lord, and Jesus appears in the sky, destroys the Man of Sin, in the Battle of Armageddon, and initiates the Millennium. 5.) The Jerusalem Temple is rebuilt with the re-institution of the animal sacrifices, the priesthood, etc.. 6.) At, or near the end of the 1000 year reign of Christ, a rebellion breaks out, and the battle of God and Magog takes place. (Do you see a train coming? If not, you should!). Okay, so, compare this schema– which is what Hagee has always preached– with what Hagee now says. He claims –“guarantees”– that within the next 15 months, we will see the battle of Gog and MaGog! This is just unbelievable. Follow me here. Remember that in Dispensational thought, the battle of Gog and Magog takes place at or near the end of the Millennium, i.e. at or near the end of the 1000 year reign of Christ. Catch that, after 1000 years! Yet, per Hagee, we are going to witness the battle of Gog and MaGog within the next 15 months! Just how does the math work on this? 1.) 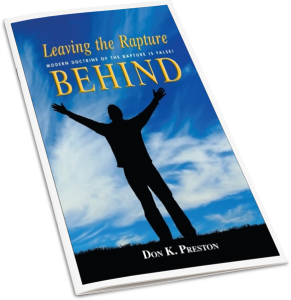 The Rapture of the church! Remember, according to Dispensational thought, the church is not on earth during the Great Tribulation, or, the battle of Gog and Magog. So, if the battle of Gog and Magog is only 15 months away, then the rapture of the church must have already taken place? This gives us the perfect right to ask: What in the world is Hagee and his congregation still doing here? As an interesting side bar, on Facebook recently, a viewer of my videos posted comments blasting me as a heretic, false teacher, condemned to hell, ETC. ETC.. He said that if I understood the Bible at all, I would know that the end is near, so near in fact that the Man of Sin (which in his view, must be Barrack Obama), will sign a peace treaty with Israel by the end of spring, 2014. I challenged his claims by saying that if that treaty is signed then I would send him $1000.00. He immediately lowered the amount to $100.00. Notice that JKLY’s scheme demands the rapture of the church before June 21, 2014!!! (Remember the Dispensational outline given above). So, at the moment, I am eagerly awaiting the arrival of June 21, 2014, the end of spring. I can sure use that $100.00! At the time of this writing that is slightly over two months away, and there is no sign of such a treaty. Of course, it should be noted that the claimant, a poster by the name of JKLY began to immediately “hedge” as our negotiations proceeded. He even boasted that if he wanted to, he could remove all of his comments so that no one would know of my challenge. But, I cut and pasted those comments, so he can’t do that. Anyway, JKLY will be proven wrong, just like Hagee will be proven wrong. You can watch my video and read the exchange here. I am betting that when (not “if”) nothing happens as he says it must, that I will never see a dime! 3.) The Tribulation Temple and the Man of Sin MUST have already taken place! The breaking of that covenant MUST have already taken place! The Great Tribulation against the Jews– with 2/3rds of them perishing, MUST have already taken place! You cannot, logically or mathematically, say that the battle of Gog and Magog, which is ostensibly 1000 years after those events, will occur in the next 15 months, without demanding that those necessary preceding events have already taken place, well, 1000 years ago! See the train now? Remember, the battle of Gog and Magog is 1000 after the Second Coming, yet, Hagee says Gog and Magog is only 15 months away! 5.) The Jerusalem Millennial Temple MUST have already been rebuilt with the re-institution of the animal sacrifices, the priesthood, etc.. Has anyone seen that lately? Last I looked, the Dome of the Rock is still there; there is no Jerusalem Temple. There is no re-institution of the animal sacrifices by a purified Zadokite priesthood. Do you see how John Hagee has utterly contradicted his own past, stridently proclaimed Dispensational theology? One can only wonder what other Dispensationalists think of his “Four Blood Moons” theology! Yet, I have not heard one single Dispensationalists either say or write against what Hagee is so confidently saying. It makes one wonder if the evangelical world will ever hold such false prophets accountable for their repeated– and harmful– false prophecies. Hagee’s Four Blood Moons predictions of the battle of Gog and MaGog are false to the core. Will he be held accountable by his congregation, or will he just quietly ignore the passing of time when nothing happens as he predicts. According to his calculations, by the way, the destruction of those “Gentile nations” of Ezekiel 38 must take place beginning no later than March 20, 2015! (But of course, Hagee claims he does not set dates!). Stay tuned, because we will keep an eye on the sky– and the world– as the time comes and passes, without the fulfillment of Hagee’s (or JKLY’s) false predictions. We can only hope and pray that Hagee’s latest false prophecy concerning the Four Blood Moons will lead to the full eclipsing of his false ministry. For a lengthy article, with more details, see Joel McDurmon’s article. 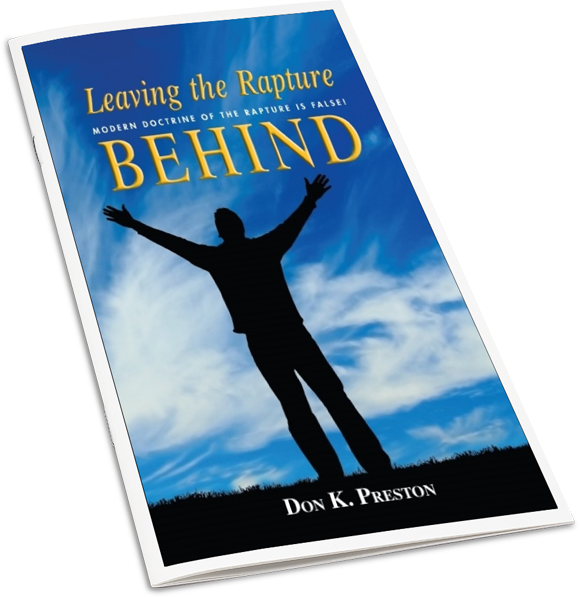 Be sure to read my book Leaving the Rapture Behind, for a thorough refutation of the rapture doctrine. This harmful theology needs to be abandoned.